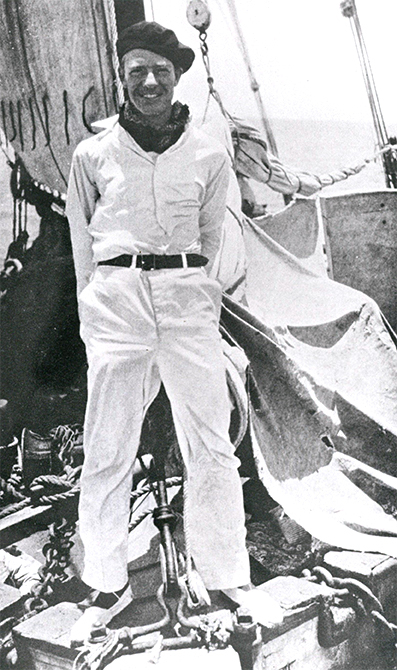 Amie Oliver’s contribution to the Texas Collection about spectacular adventurer, author, and lecturer Richard Halliburton was a welcome insight into one of history’s most flamboyant and likeable teachers of history, geography, and will to succeed. Millions of armchair travelers all over the world thrilled to the adventures colorfully described in his seven best-sellers and flocked to his many lectures. Among his most ardent admirers were women young and old. His enthusiastic delivery at the Baylor lectures was quite in character for him. He was known to do offbeat things like inviting the students to move down to the expensive seats and arouse the ire of powers that be. I was one of those enthusiastic Halliburton admirers who heeded his call to pursue the uneven tenor, the intellectual, and the path not taken. In later life after I became a published writer I spent over fifteen years and thousands of miles researching, interviewing, and traveling to form an accurate picture of the man and his accomplishments. My purpose was to share the wonder and accomplishments of this forgotten trail blazer with others who I knew would marvel at what he had done. The result was “A Shooting Star Meets the Well of Death, Why and How Richard Halliburton Conquered the World,” Moonshine Cove Publishers, http://www.rhalliburtonstar.com. I believe that those who wish to know more about this American icon of the Twenties and Thirties are likely to be pleased at the detail and character background found in this book.